A standard issue with UV Coating jobs can be how the UV Coating fluid ends up on adhering to documents which can result in flaking. In other cases, the substrate can stick together after it comes out of the UV Coating machine because it is not cooling properly. To good news is there are a variety of solutions to fix these problems should they arise. The most common cause of either flaking or stickiness could be your lamp is not generating enough heat. It’s the most common cause as highlighted by our UV Coating fluid suppliers. To date, customers who are using either Tec Lighting, American Ultraviolet or Duplo machines have not experienced any of the problems that some of the cheaper UV Coating machines cause. So, if you are experiencing an issue with flaking or stickiness, test your lamp output. 2. 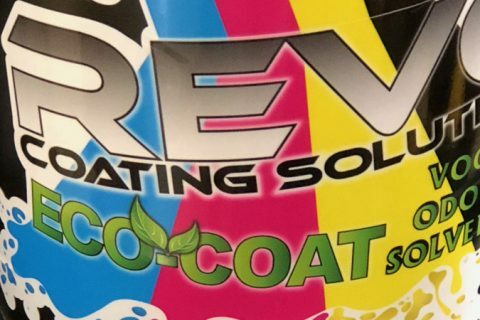 Does your UV Coating machine have an IR setting? Your UV Coating machine should come with an Infra-Red setting. The Infra-Red setting is used to prepare the curing process. Its purpose is to heat up the UV coating fluid before it is applied to your documents. The UV lamps then finish the job. You will have to play with the adjustment to find the right calibration to ensure a perfect finish. 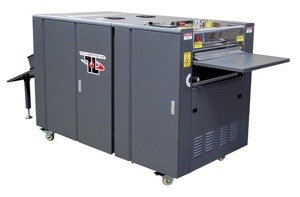 We have been called into many service calls for several brand machines where the owners retrofitted their machines with band-aid approaches because they only did not know how their machine worked. If you are running the machine improperly, it will not function properly. 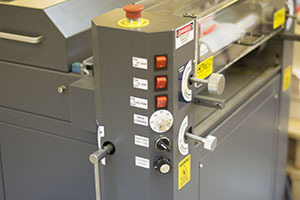 Work with your manufacturer or an authorized repair shop to help you adjust the machine. An $85-$200 repair call is far cheaper than replacing rollers or other parts because you don’t know how to operate it properly. If you are having trouble with your UV Coating fluid either flaking or sticking, check one of these 3 things to see, if it is a problem.